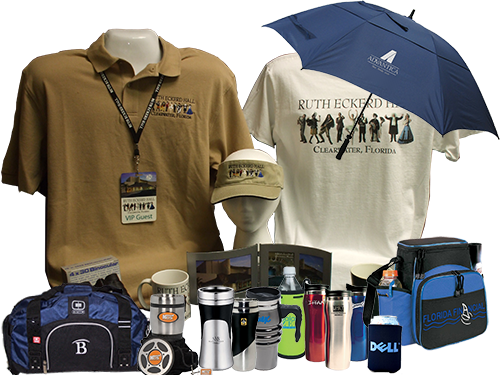 Here’s just a sample of why promotional products should be part of every company’s overall marketing efforts. They’re not viewed as advertising, and they don’t get lost in the clutter. Promotional products are received as gifts or rewards, so they create a positive feeling in association with your company. They generate 43% greater memory recall for a company’s name than print advertising, radio or TV. 55% of people keep the promotional products they receive for over a year, versus 1 day for newspapers, 2 weeks for magazines, and instant consumption for TV and radio. This means your cost per exposure is lower than any other form of marketing. They have intrinsic value, so the recipient keeps them 97% of the time. If they can’t use your product personally, they pass it on to friends and co-workers, creating more widespread exposure for your brand. 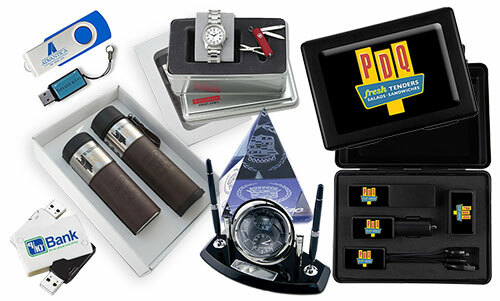 We have over 800,000 different items that can display your company message. All you have to do is tell us your starting idea and budget. We’ll send you an electronic presentation several different directions you can take. You tell us what you like, and we bring you physical samples for final approval. We make it just that easy. So call us to talk about your ideas, or send us promotional products specifications and we’ll get started.